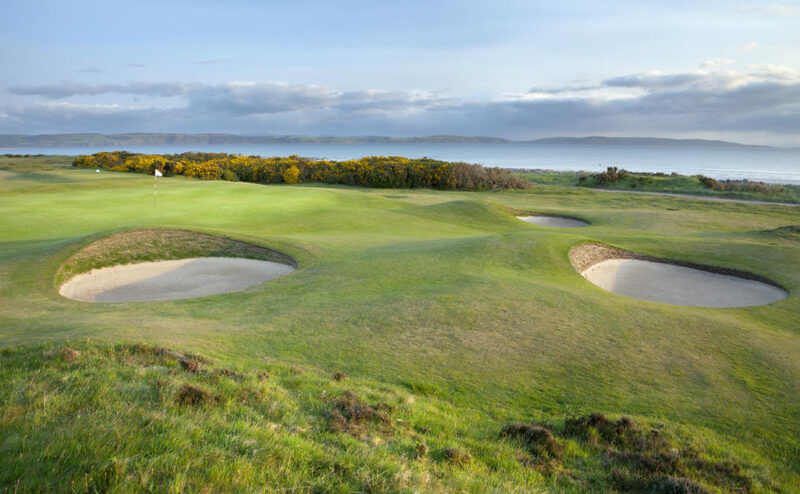 An area of stunning natural beauty, the Highlands of Scotland offers a surplus of fantastic golf courses, including Scottish Open venue, Castle Stuart and Royal Dornoch guaranteed to provide the golfer with an unforgettable experience. Below are our top picks for golf in the Highlands of Scotland. Located just a few miles west of Nairn, Castle Stuart is the newest addition to golf in the Highlands. Even though just opening in 2009 Castle Stuart has attracted visitors in their droves year after year. This Par 72 stretches long over 7’400 yds. However due to a variety of teeing areas, generous fairways and large greens, it is very playable for golfers of all abilities. 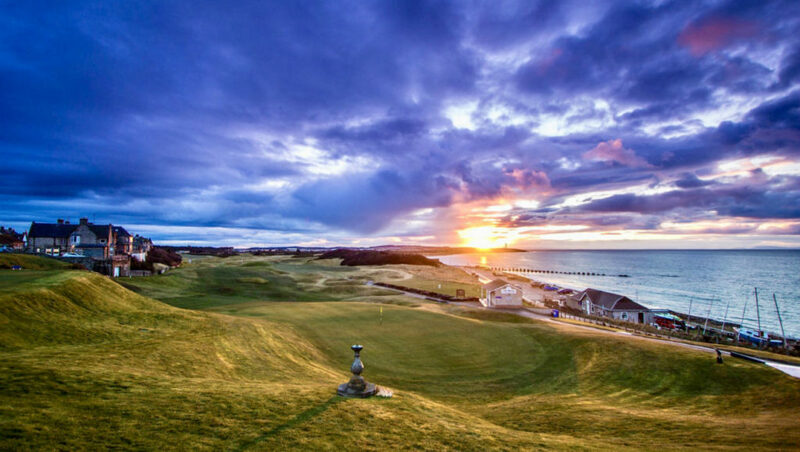 The course rolls along the Moray Firth Coastline and boasts some of the most spectacular views in golf. As well as ‘Castle Stuart’ in view from many points on the golf course. Above all, Castle Stuart just oozes class and is one of those walks you would never tire of doing over and over again. For this reason, The European tour has hosted The Scottish Open there a number of times. Fortrose & Rosemarkie is located to the north of Inverness and is the 15th oldest recorded club in the world. This short 5’500 yrd course spans along the Chanonry peninsula in the ‘Black Isle’ that juts out to Rosemarkie Bay on the Moray Firth. It is a favourite spot for many dolphin enthusiasts to catch a glimpse of the local dolphin pods feeding. Although the course is short, it certainly makes up its challenge in other ways. Specifically the course includes narrow fairways guarded by gorse, small undulating greens and pot bunkers at every turn. As well as also contending with some incredible cross winds that sweep across the peninsula. Fortrose and Rosemarkie is a real quirky, great fun place to play golf in the Highlands. The Luxury Travel Guide Lifestyle Awards also honoured the club with the accolade of ‘Golf Club of the Year for Scotland 2019’. 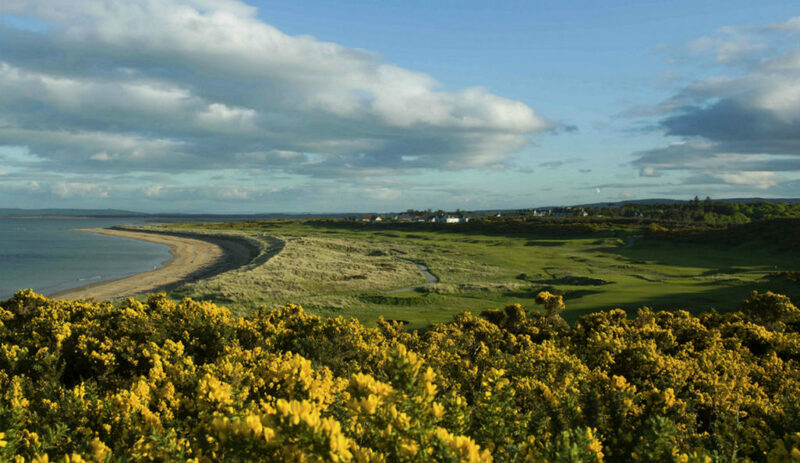 Golspie Golf Club is located on the Dornoch Coast around 15 minutes north of the famous Royal Dornoch. Much like the old-school courses in the highlands, what the courses lack in yardage they make up with a variety of golf holes. Golfers are required to concentrate on plotting the ball around the course to avoid the perils that lay ahead. 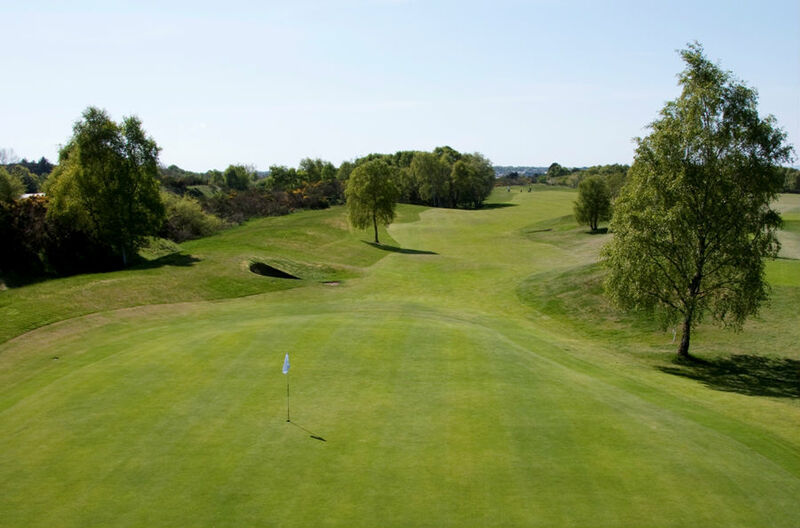 Designed by James Braid, the course has an attractive mix of classic links, heath and parkland holes. Golspie measures 6’000 yds from the medal tees and sets off over lush heathland before it makes its way to the shores of the Dornoch Firth; where the true links feel kicks in. Enjoy stunning views from all holes of the Dornoch Firth on one side and the backdrop of Ben Bhraggie on the other. 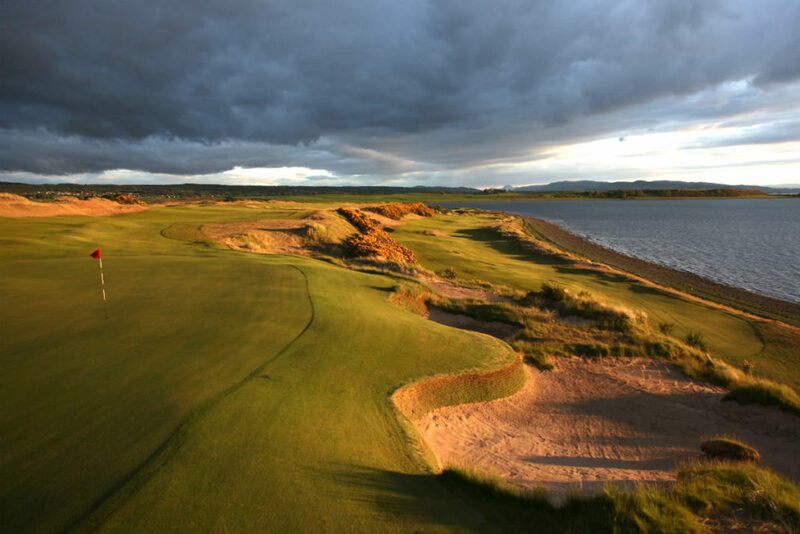 Moray Old Course is another outstanding golf course set along the sparkling shores of the Moray Firth, opened in 1889. The Old Course was laid out by Old Tom Morris and true to ‘Old Tom’s’ designs there are an incredible mixture of wonderful golf holes. In fact some even claim the Par 4 18th is one of the finest holes in Scottish Golf. The course has played host to a long line of Amateur and Professional tournaments as well as exhibition matches since 1901. Moray Golf Club also has a neighbouring ‘New Course’, which is a tremendous course in its own right. As a result, Moray Golf Club is a prime location to enjoy a couple of days’ golf in the Highlands. The club also stocks every malt from Moray and Speyside and far beyond – ideal for a dram after 18-holes! Nairn Golf Club was founded in 1887 and the layout remains fairly untouched as it was back then. Located on the Moray Firth, Nairn is said to be one of the driest areas in Britain. Nairn has a tremendous selection of golf holes as well as many where the beach can often come into play. Some often refer to the bunkering and the undulations throughout its layout as playing golf on the moon. Nairn held the Walker Cup back in 1999. Great Britain and Ireland came out on top over a strong USA team. Players involved in the tournament included Matt Kucher, Luke Donald and Paul Casey. After your round you must take time to have a wander around the small museum in the clubhouse. A truly magical place that has golfing memorabilia dating back to when the club was founded. Nairn Dunbar Golf Club, is ranked 9th in the North of Scotland Top 100 Golf Courses. 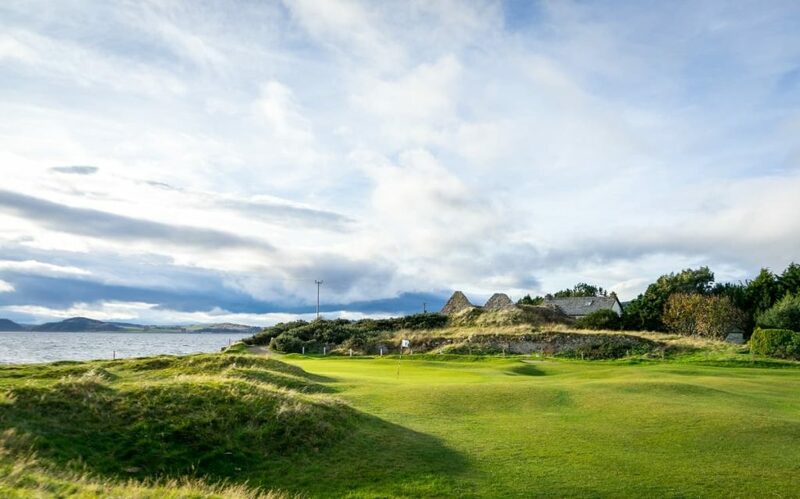 Located along The Moray Firth, the club is steeped in history. Golf was first played on this land back in 1899, although the course has undergone a few changes since then. Nowadays this Par 72 offers you a fairly placid start through the first few holes before the challenges begin. Narrow fairways are guarded by a tunnels of gorse bushes, and some tremendous bunkering requires full control. Due to the challenge the course presents it is likely you will use every club in your bag. A great mixture of testing holes that are always in excellent condition makes Nairn Dunbar another must play in the highlands. The club was also host to The R&A 91st Boys Amateur Championship 2017 and The PGA Northern Open 2018. Royal Dornoch is located around 1 hour north of Inverness. The course was extended into an 18 hole layout in 1886 by Old Tom Morris. The front 9 stretches away from the clubhouse with 2 par 3’s, 1 par 5 and 6 par 4’s. The back 9 then returns to the clubhouse with the similar spread of holes creating its par 70 layout. Royal Dornoch is always ranked in the top courses and for some, it’s the ultimate test of golf. Each hole has its own unique challenge forcing you to think about every shot. In particular, the par 3’s are some of the toughest in golf. A local joke is that the toughest shot in golf is the 2nd shot to the par 3 2nd hole because if you miss the green it’s a virtually impossible up and down to save par. Tain Golf Club is a classic Scottish Highland links course which was founded in 1860. The course was originally laid out by Old Tom Morris and many of his original holes survive, 5 in fact in each half. 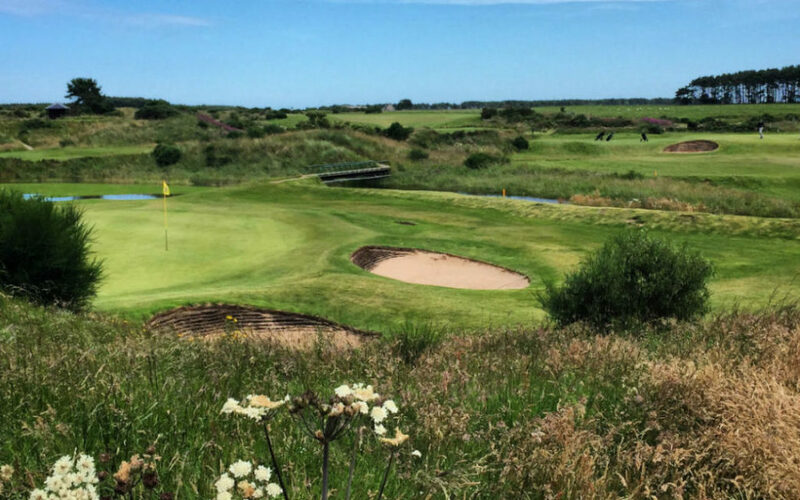 Not surprisingly, therefore, Tain is fondly referred to as Old Tom Morris’s Northern Jewel. Set in the most wonderful of locations Tain provides panoramic views of the Dornoch Firth to one side and then a backdrop of mountains to the other. Measuring at a modest 6’400 yds Tain requires accuracy over power to negotiate its narrow fairways that are protected by heather and gorse. Positioning your approach shot into the correct position to attack the flags is essential as the subtle greens can make even the best putters look stupid. Why not finish your round with a visit to the world famous Glenmorangie Distillery for a wee local dram. If you like the look of these courses and would like to experience golf in the Highlands we recommend our Golf Highlands Tour and Northern Links Tour. Alternatively, please let us know if you wish to play any of the courses above and we will include them within your customised golf tour.